Directional, unshielded interconnect cable made of two twisted solid-core pure UK silver (99.99%) AWG28 conductors. Each conductor is insulated by a thick unbleached cotton braid. The cotton insulation is the closest in its dielectric properties to air; the Dielectric Constant of Air is 1.0, cotton is 1.3, and Teflon is 2.0. Consequently, the insulating characteristics of cotton are much closer to air than those of Teflon, reducing further capacitance and inductance. Unbleached cotton dielectric also plays an important role as a cushion in reducing unnecessary vibrations to secure real sound. * This results in a natural and warm sound perfectly harmonized with the silver conductors. By eliminating the unnecessary vibrations, while securing the original signal, natural cotton dielectric creates vivid and lively music. The two conductors are twisted together with two more cotton threads. The cable is then covered with two more layers of unbleached cotton providing an additional mechanical protection to the conductors. Gekko Silver Lining interconnects are terminated with proprietary Gekko RCA plugs utilizing thin-walled tubular contacts made of oxygen-free copper and silver. This provides distinct improvements in clarity, smoothness and dynamic range. Connections are silver cladded OFC. 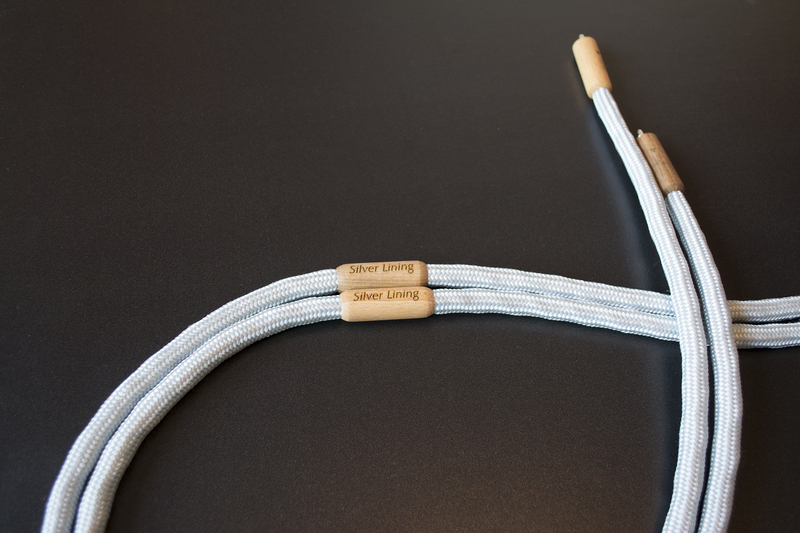 The sound of the Gekko Silver Lining cable is fast, open, warm and above all - natural. It is able to transfer subtle details and ambient information without distortion or coloration and offer the best soundstage ever. This cable will rival the best and the most expensive interconnects in the World. 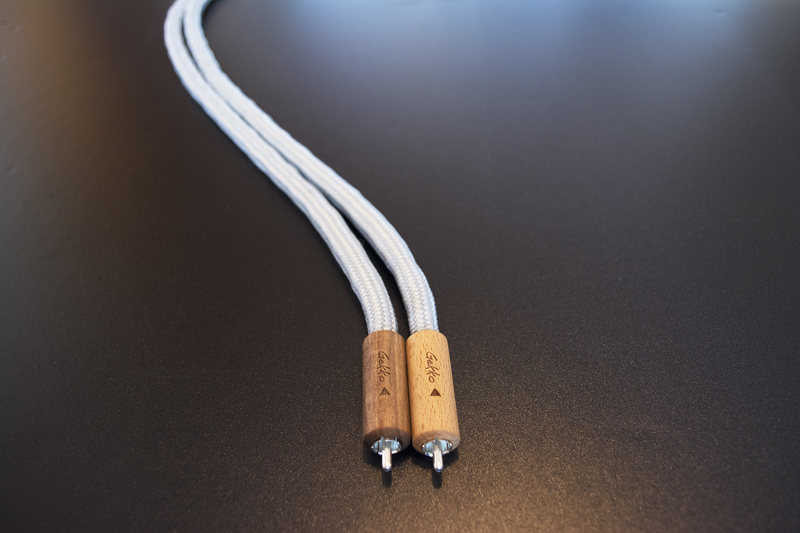 Like the RCA cable, the balanced XLR version is also an unshielded interconnect cable, however it is made of three twisted solid-core pure UK silver (99.99%) AWG28 conductors insulated by unbleached cotton. Termination is with silver plated pins Switchcraft XLR connectors. Silver Lining speaker cable is made of eight twisted solid-core pure UK silver (99.99%) AWG26 wires for each conductor. Each wire is insulated by a thick cotton braid. The cotton insulation is the closest in its dielectric properties to air; the Dielectric Constant of Air is 1.0, cotton is 1.3, and Teflon is 2.0. Consequently, the insulating characteristics of cotton are much closer to air than those of Teflon, reducing further capacitance and inductance. Unbleached cotton dielectric also plays an important role as a cushion in reducing unnecessary vibrations to secure real sound. This results in a natural and warm sound perfectly harmonized with the silver conductors. By eliminating the unnecessary vibrations, while securing the original signal, natural cotton dielectric creates vivid and lively music. Gekko Silver Lining speaker cables could be terminated with high quality silver plated OFC bananas or spades, or unterminated. 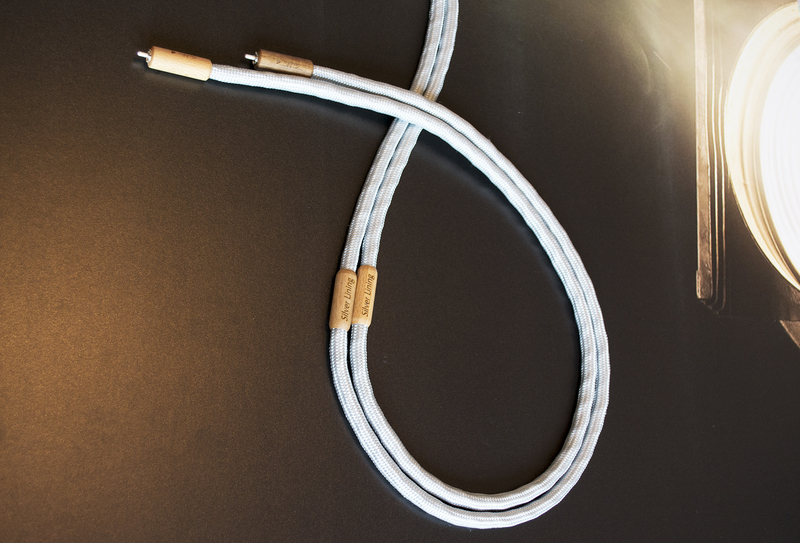 The sound of the Gekko Silver Lining cable is fast, open, warm and above all - natural. It is able to transfer subtle details and ambient information without distortion or coloration and offer the best soundstage ever. 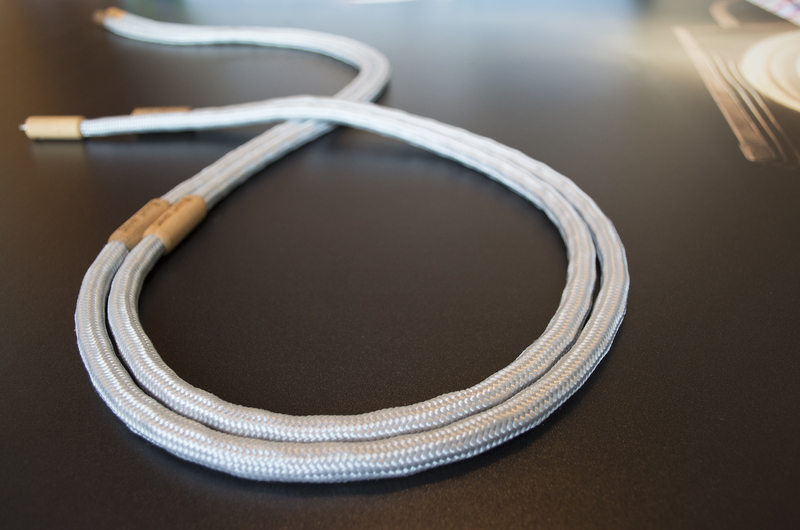 This cable will rival the best and the most expensive speaker cables in the World.